With the recent release of December 2017 airport arrivals in the Dominican republic we have now a complete picture for 2017: it was yet another year of solid growth: no residents (basically torists) arriving in the Dominican airports were 6,187,542 up 3.83% from 2016. 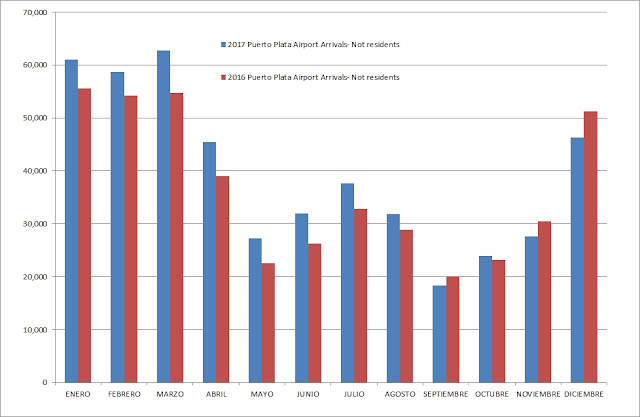 The Dominican Republic keep growing as preferred Caribbean touristic destination. 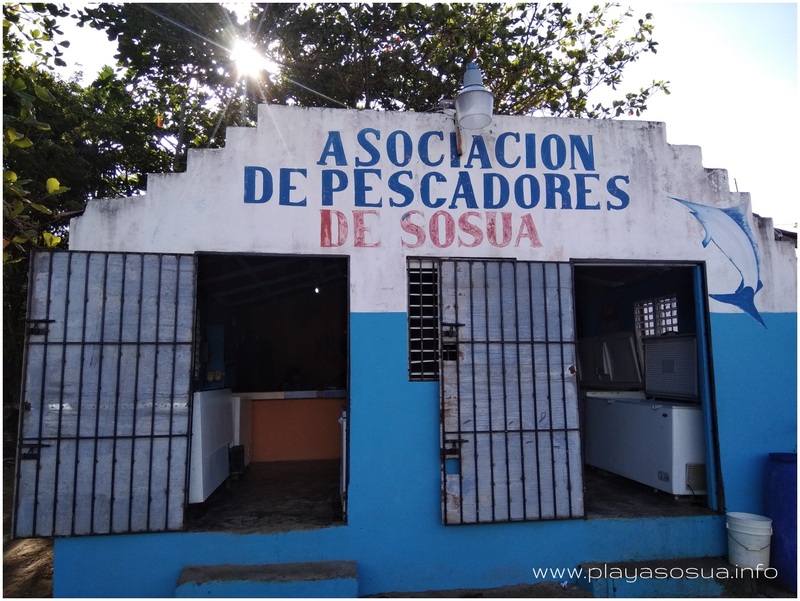 If you are looking to buy fresh seafood in Sosua...why not to go straight to the source? 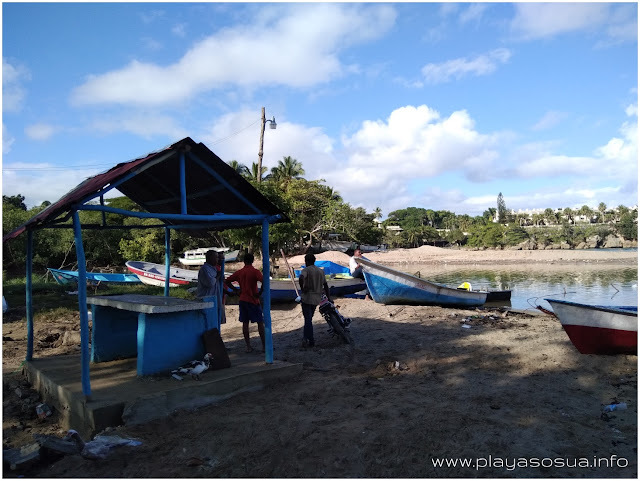 Sosua fishermen are joined in an association called "Asociacion de Pescadores Sosua" (Association of Sosua Fishermen) and they sell with no intermediaries their catch of the day on the beach at the mouth of Sosua river. 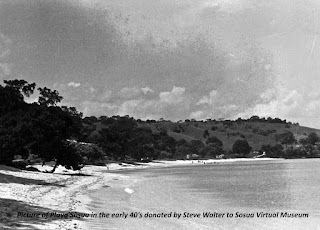 If you arrive at the beach early in the morning around 8:00a.m. sometimes you can see their boats coming home to unload their catch. 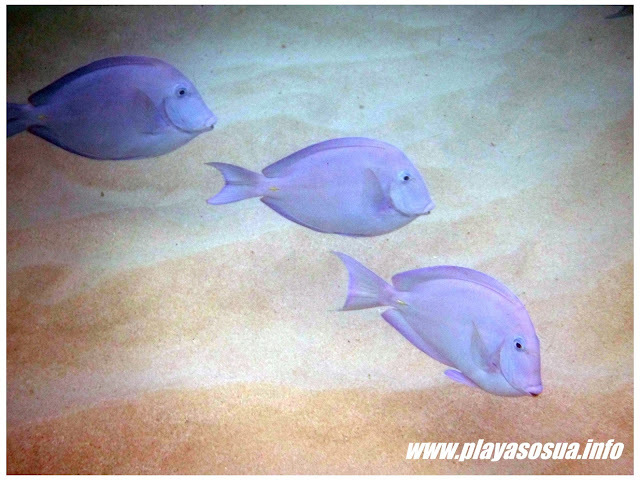 It is a wonderful opportunity to buy fresh seafood and to see a traditional and non touristic part of Sosua! 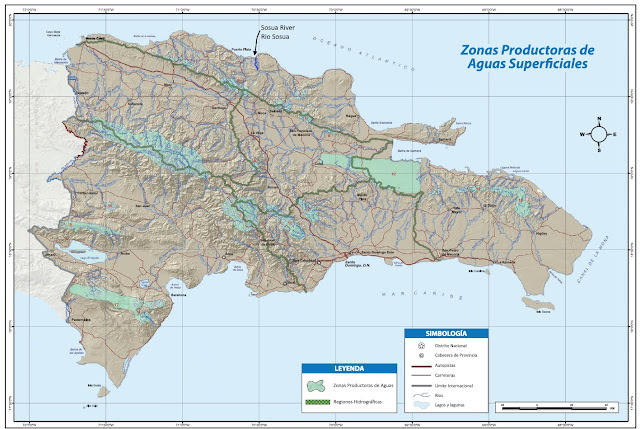 Sosua River is a small river of the Puerto Plata hydrographic region and drainage system: its source is South of Sosua from a 280 mts (918 feet) high hill, it flows for approximately 11 km (6,8 miles) crossing Susua Abajo first then Los Charamicos before reaching its mouth in the beach Playa de la Boca of the Sosua Bay. 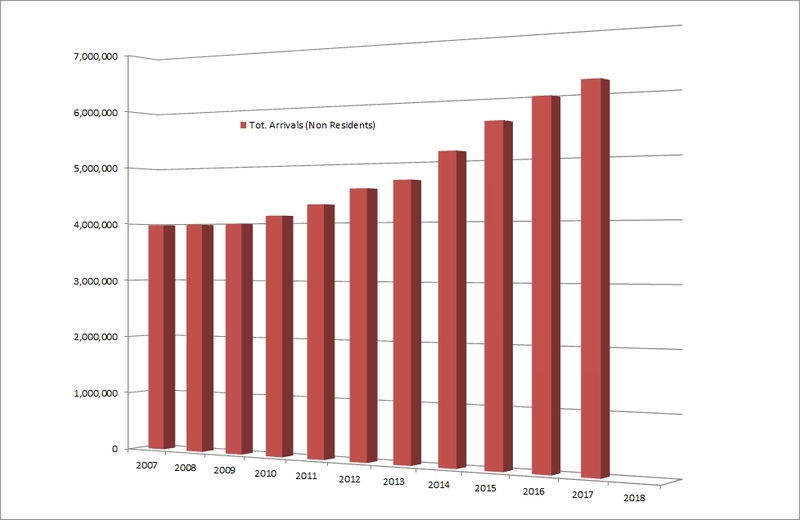 Its watershed is strongly seasonal, it dries up almost completely during the summer dry season and it runs full in the rainyseason with its maximum watershed between December and Janauary. 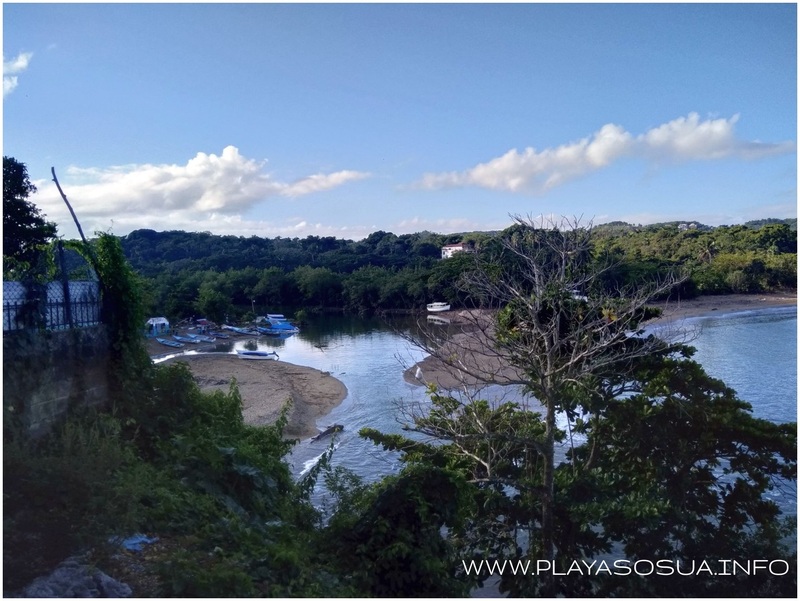 The Sosua River feeds the ocean in the beautiful Sosua Bay creating a very important reproductive ecosystem inside the Sosua Marine Park. 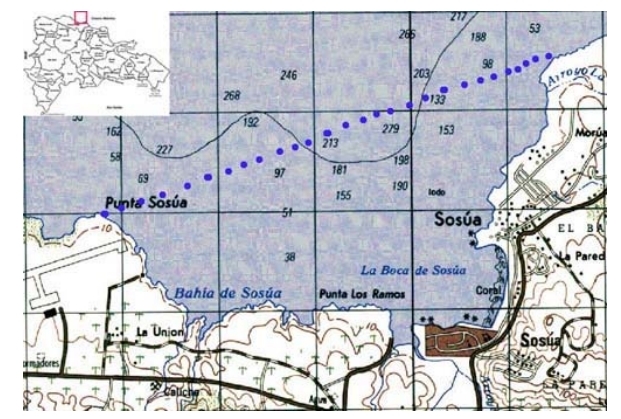 Unfortunately during its passage through Sosua Abajo and Los Charamicos the river receives significant quantities of untreated seawage water which makes the river highly polluted, indiscriminate garbage dumping into its bed make its pollution problem even worse and despite periodical cleaning campaigns organized by the Sosua Marine Park authority and by volunteers the situation has not been resolved and the damage is felt through all the ecosystems chain of the Marine Park. The place name Sosua is originated from the river name: Sosua is not a word with Spanish roots, its etymology has to be researched in pre-Colombian languages. 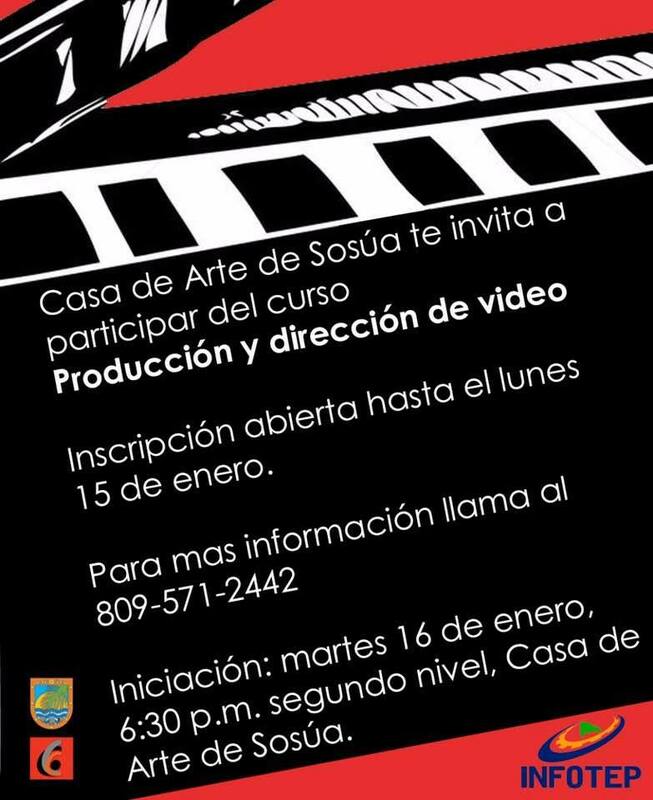 There is a word "SOSUA" in the Chibcha language spoken by the Muisca people in Colombia: it means "worm" and it can figuratively describe a convoluted river, however it must be pointed out that the Tainos of the Dominican Republic spoken a Arawak type of language and there is no trace of a word Sosua in what we know of the language spoken by the Tainos. 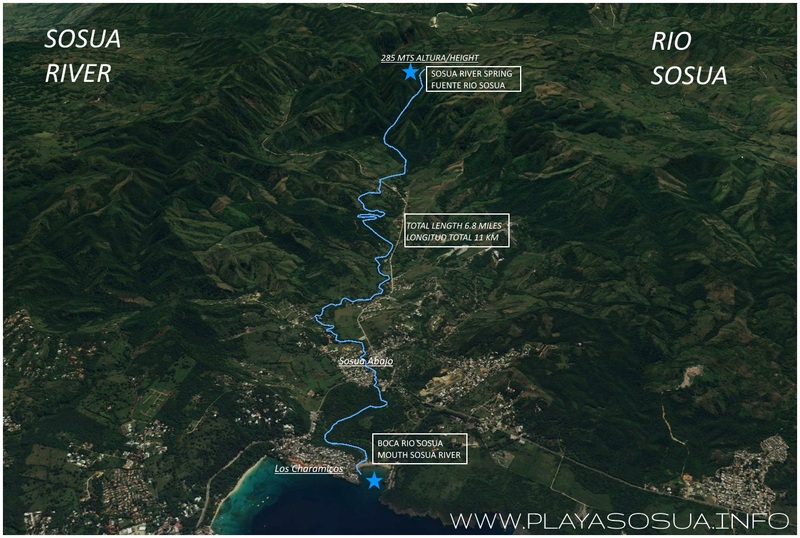 It could be suggested that the word Sosua arrived in the island of Hispaniola before the Tainos during early immigrations of some people of the Ortoiroid culture but further study is obviously needed to verify this hypotesys. 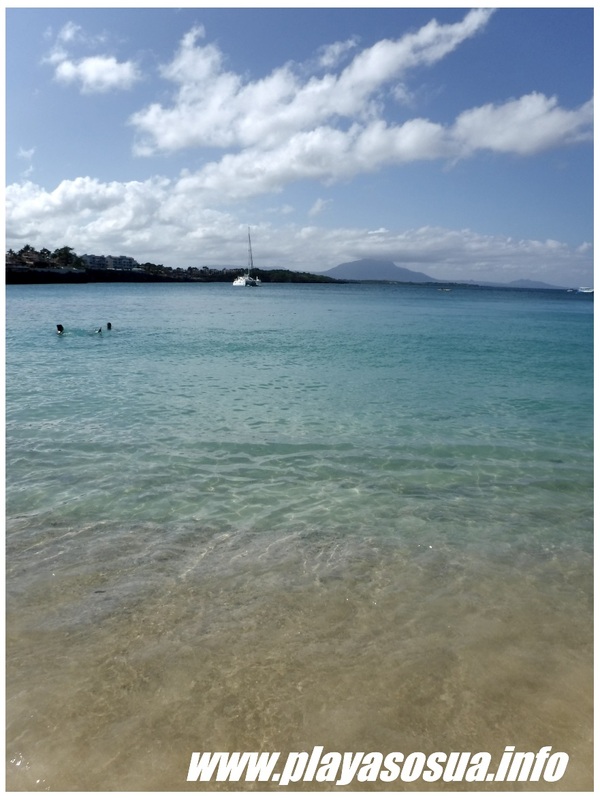 It would be interesting to have some expert of linguistics and some archeologists discussing the origin of the name Sosua. We have created a new website section about Sosua, it is accessible from the right column and it is called "Sosua Resources" : we will publish there information about Sosua climate, history, services and price levels. The first article published in this new section is Sosua Climate. More to come! 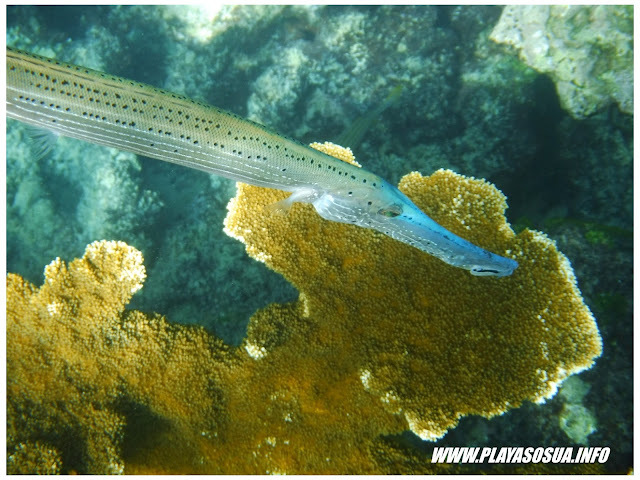 Not all the visitors of Sosua beach (Playa Sosua) know that it is inside a National Park called "Parque Tematico de Atracciones Submarinas de Sosua" or "Santuario Marino de Sosua". 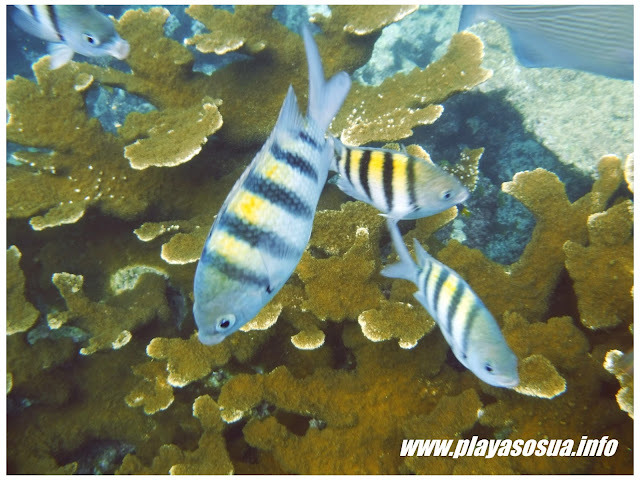 The Park was created with the Decree of Law n. 634-05 of November 22, 2005 and it is managed by an authority called "Patronato del Parque Tematico de Atracciones Submarinas de Sosua" . 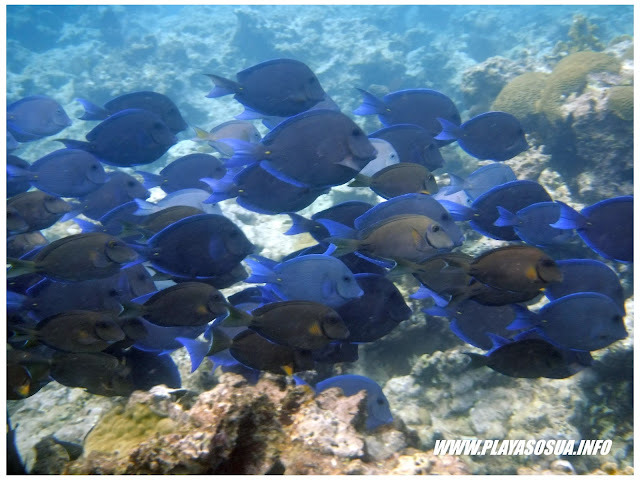 The park created a protected area around Playa Sosua for conservation porpuses: to protect the exceptional marine fauna and flora of Sosua Bay from pollution, intensive fishing and excessive touristic exploitation causing habitat losse, disturbing marine recreational activities and extraction of coastal and marine resources. Many ecosystems are found within Sosua Marine Park including sandy beaches, rocky shores, coral reefs, sea grass beds, estuaries and mangroves: these habitats host a large marine and terrestrial biodiversity ehich needs protection! The Sosua Marine Park covers the whole Sosua Bay from Punta Sosua (West) to Arroyo la Punta (East) including Sosua Beach, and Sosua River Bay. The most visited area pof the park is of course Playa Sosua: its white sand is composed mainly by coral reef originated materials, its westward position protects it from predominant North East winds and currents. 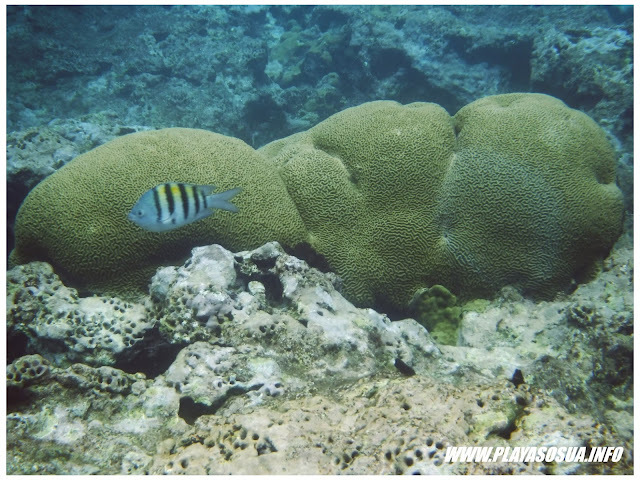 The Sosua Bay ecosystems include Sea Grass Bed rich of Halodule, Syringodium and Thalassia which are used as feed by large vertebrates such as sea turtles and Manati, loss of these beds cause sand erosion and damage the whole ecosystems depriving herbivores of their feed and carnivores of their prey. Another amazing ecosystem of Sosua Bay is the Coral Reef: it is located at a depth from 2 to 30 meters and its most accessible part is right in front of Playa Sosua and it hosts wonderful corals such as Acropora palmata, Agaricia agaracites, Agaricia lamarckiana, Madracis mirabilis, Diploria stingosa, Porites porites, Porites divaricata and others. It is important to remember that visitors of the most accessible part of the reef in front of Playa Sosua should not feed the fishes and should not damage the corals and should not remove anything from the reef. Likewise all visitors of the beach should at least do their best to keep the beach clean without living trash in the sand which would eventually end up in the sea polluting the ecosystem. 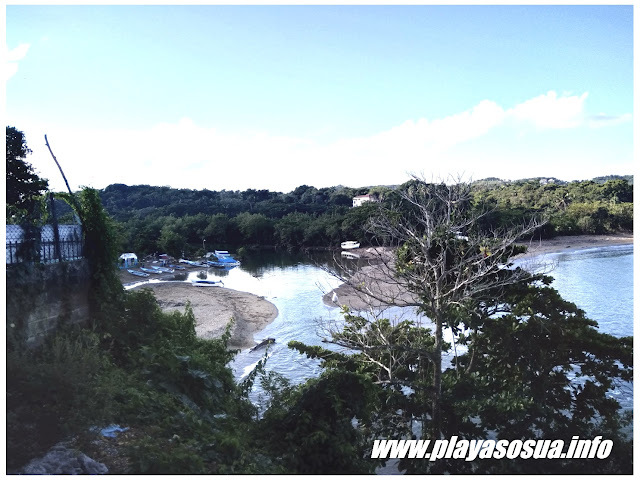 Another special ecosystem of Sosua Marine Park is Sosua River mouth: a very important reproductive habitat for many species which is unfortunately very polluted because of indiscriminate dumping of polluted waters and of waste waters in its bed.I have recently visited the mouth of the Sosua river (December 2017) and its waters are indeed dirty as you can see from the picture below, I believe that this issue needs to be addressed soon and in a more decisive manner for the heath of the Marine Park of Sosua. 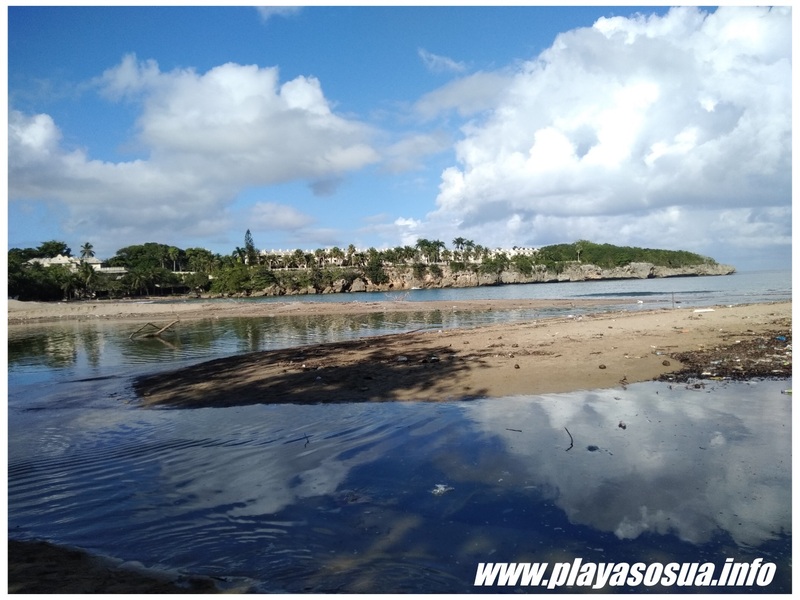 The Sosua River bay and its beach are wonderful, they need to be cleaned and soon this could become another woderful place to visit in Sosua. As you can say from this picture Playa Sosua has not changed a lot in the last 80 years ago: the main difference from today are more trees close to the beach and on the hills behind the beach and of course 80 years ago you could not find toda's characteristic bars, shops and restaurants behind the beach but being hiden by the trees this is not an eye cathcing difference. 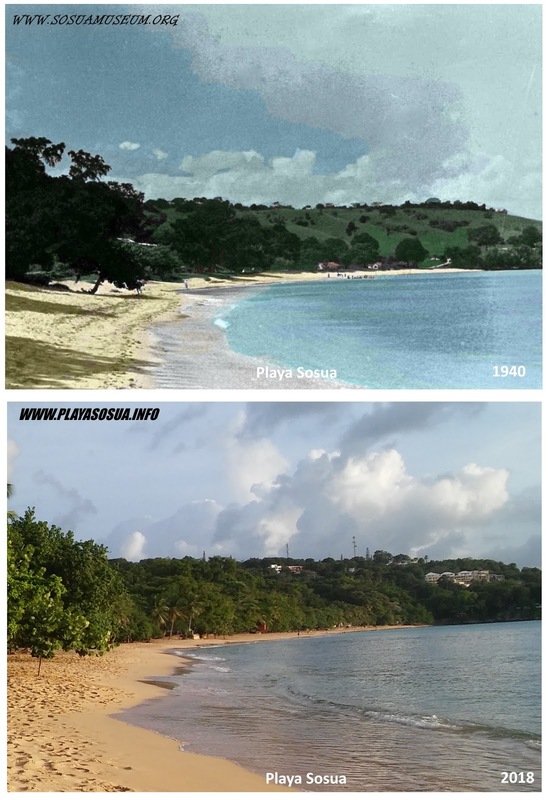 Playa Sosua: still as beautiful as in the old days of early Sosua....possibly more! 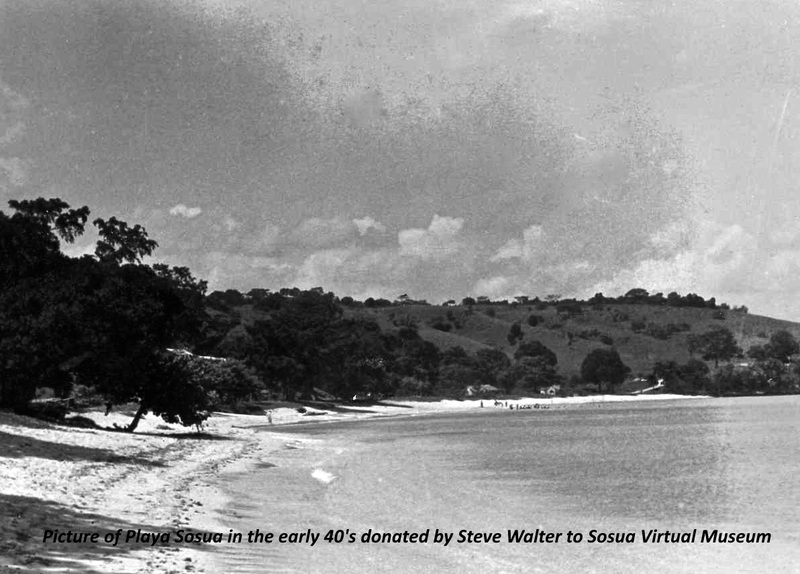 I want to thank Mr Steve Walter for sharing his old picture of Playa Sosua making it possible for us to learn more about Sosua and its history ( I recommend visiting the Sosua Virtual Museum to learn about Sosua in the late thirties and early forties). 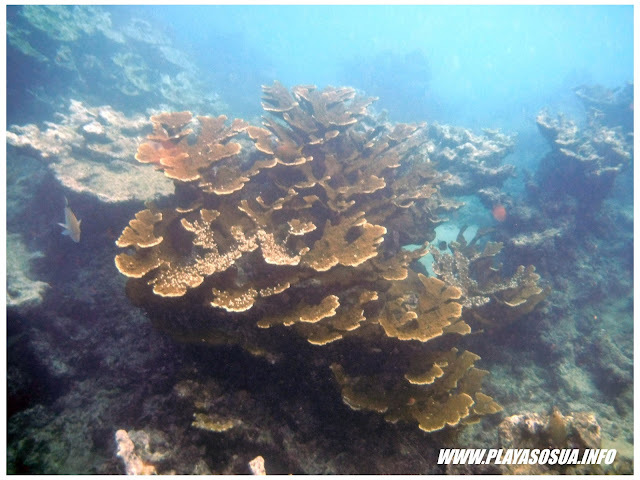 Video of the coral reef standing right infront of Playa Sosua: ideal for snorkeling with a sunny day and high tide! 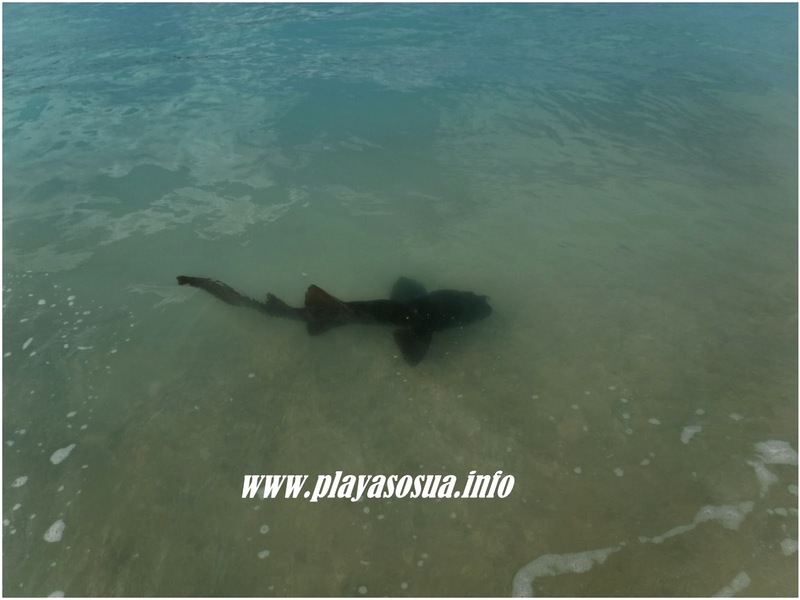 A small Nurse Shark (Tiburon Gata in Spanish) got lost and ended up swimming among the tourists of Playa Sosua! Only in Sosua!!!! 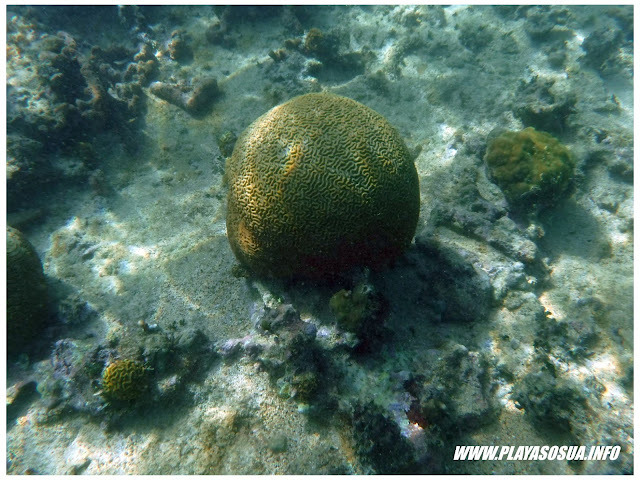 By the way the Nurse shark is not aggressive and it is not dangerous, it is a peacefull animal and it can bite only when provoked.... The Nurse Sharks are typically solitary nocturnal animals, rifling through bottom sediments in search of food at night....how this little one ended up swimming in Playa Sosua is really a very rare nad weird thing! One of the most convinient way to move inside the Dominican Republic between one town to another is to use local bus companies such as Caribe Tours. Sosua has a Caribe Tours bus stop right in front of the Los Charramicos traffic light, there the ticket office can also be found. Tickets can be bought on the same day and they are cheap: a Sosua - Santo Domingo one way ride costs 350 Pesos (approximately 7 US$) much cheaper than the taxi fare of 200 US$ considering that the bus takes approximately 5 hours to reach Santo Domingo and a taxi 4 hours or more. 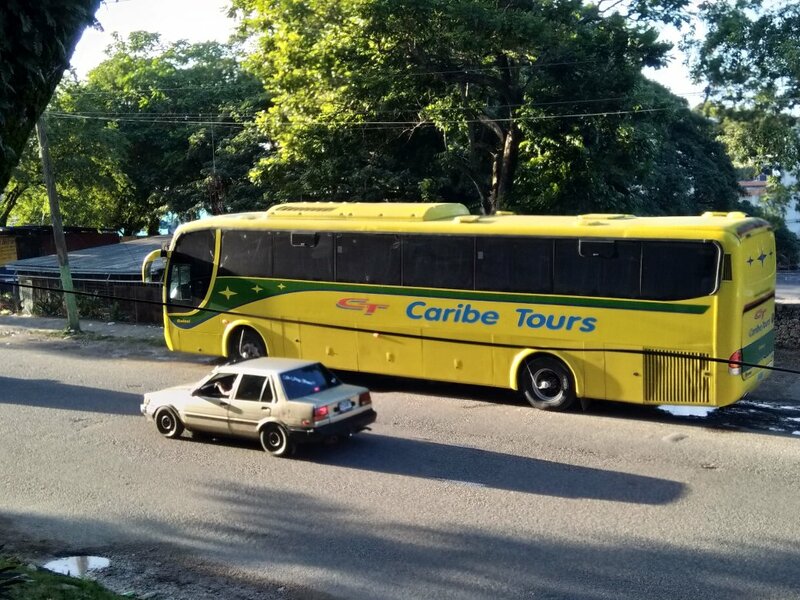 These Caribe Tour buses are clea, air conditioned and with free wi-fi: a relaxing way to travel inside the Dominican Republic. 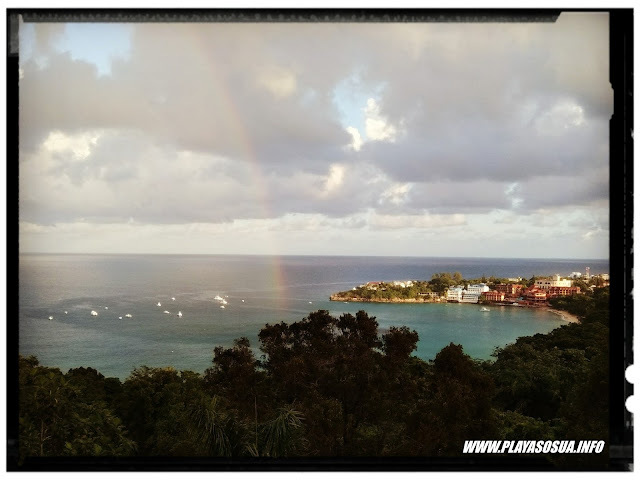 There is a very early bus from Sosua to Santo Domingo at 4:50 in the morning (with the ticket office opening at 4:30) which arrives in the capital approximately at 9:30....it is ideal for those who need to visit the capital and return to Sosua in the same day!